Top Case Set Yamaha MT-07 13-17 Givi Monolock B360NT black. 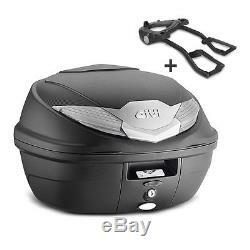 Givi Monolock Set: Top Case B360NT including Carrier black. Complete Set with Givi Monolock B360NT Top Case and carrier system. Design customized to the motorcycle. Perfect workmanship and high load capacity. 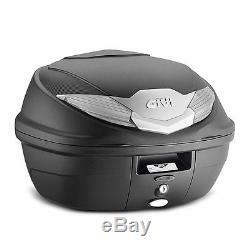 Givi Monolock Top Case B360NT 36 liter. Great for everyday and tours as well as the safe transport of travel accessories. Made of extremely durable plastic. Payload up to 3 kg. Monolock System - Only one key necessary for unlocking the luggage lock and the support plate. 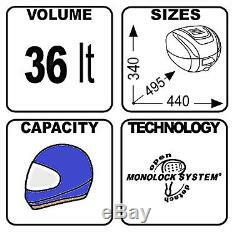 Volume: 36 liters (fits one helmet). 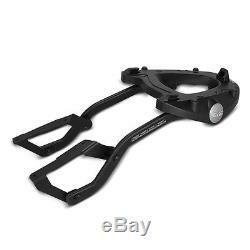 Dimensions: 340 mm x 495 mm x 440 mm (H x D x W). 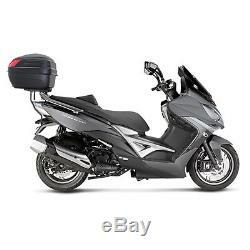 The item "Top Box Set Givi Yamaha MT-07 13-17 B360NT Monolock black" is in sale since Sunday, January 28, 2018.